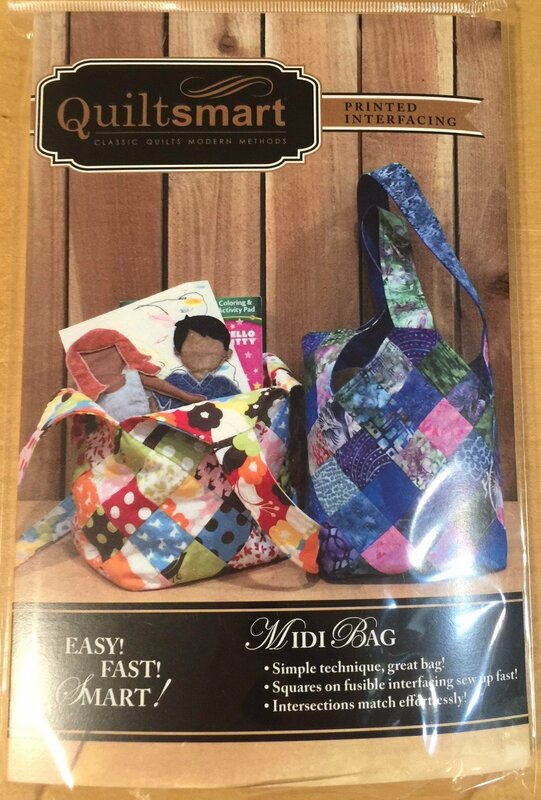 Have you made the very popular Mondo Bag? Well, here is the little sister - same basic, easy construction, but with an ever-so-practical size! Cute-as-can-be bag! METHOD: "Fuse, Fold, & Sew". Perfectly-matched seams & easy construction. Simple technique, great bag! Bag bottom is about 8" square x 12" high.